Last week, ELGL members and friends took part in ELGL City Hall Madness, narrowing the field to 32. This week competition is bound to heat up in the round of 32. Vote in the head-to-head match-ups to determine which city hall advances to the round of 16. Voting ends at midnight EST on February 10. Follow along and fill out your own bracket as we release the winners from each round. Click here to vote on this week’s matchups and see real time results! No offense to Milwaukie, Oregon but the photo in the illustrious round of 32 is of the City Hall in Milwaukee, Wisconsin. 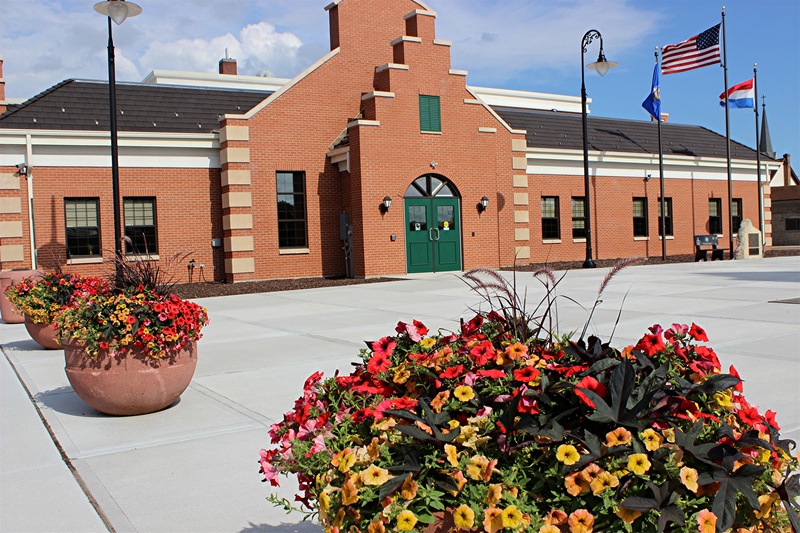 I am wondering why the Village of Little Chute’s Village Hall does not include the windmill on it’s plaza? It would seem that it’s got good parking though! Anyway, I will always support this quaint little village and it’s residents. Go Mustangs! Thank you for updating the picture! So beautiful! This is more like it, right Little Chute? It gives me pleasure just to drive by our City Hall, here in Redwood City. The landscaping makes it look so friendly and welcoming. Haines City is known as “The Heart of Florida” and our city hall represents just that – the heart, of our beautiful town.